And we’re back with the third installment in the Williams’ Family Eurotrip 2014! As I’m sure I’ve said a few times now, this trip could hardly be summed up in a single post. Even with two posts – a sum total of 6000 words – I’ve managed to cover only the first five days. I might be able to cover the rest with an additional two, but I can’t promise a thing! 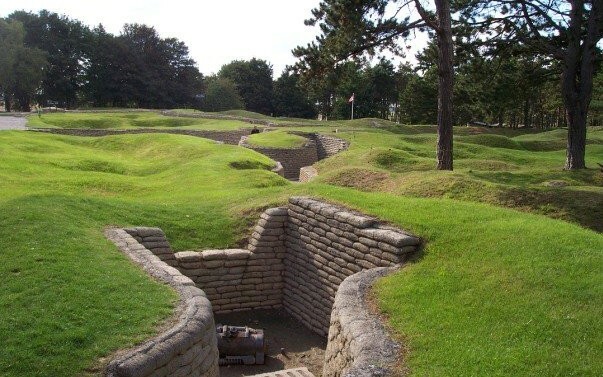 Nevertheless, the next segment of our trip, which took us from Ypres to Dieppe, was a very interesting time. Monday morning, we packed up, ate our last breakfast at the Albion Hotel, told them how much we enjoyed staying with them (my parents wrote a three page stellar review! ), and prepared to head out again. This consisted of stopping by the market to get some sandwiches and bottles of water for the day, a necessity when you’re doing walking tours, and then see the Ypres Market, Cloth Museum and Cathedral one last time. We then packed up the car and began driving for the French border, got on another toll highway, and drove through the sunny, canola flower-filled countryside. 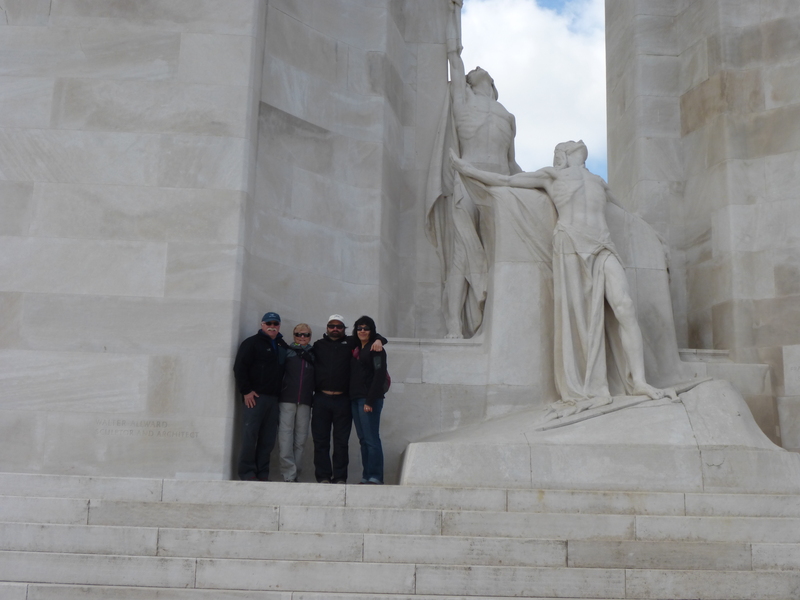 Eventually, we made it to The Vimy Monument, the last World War I site on our trip and the only stop along our way to Dieppe along the northern Normandy Coast. Long before we arrived, we could see the monument cresting the Ridge where it is located, not to mention the many slag heaps that mark the landscape. Again, a little background on this historic battle is in order. 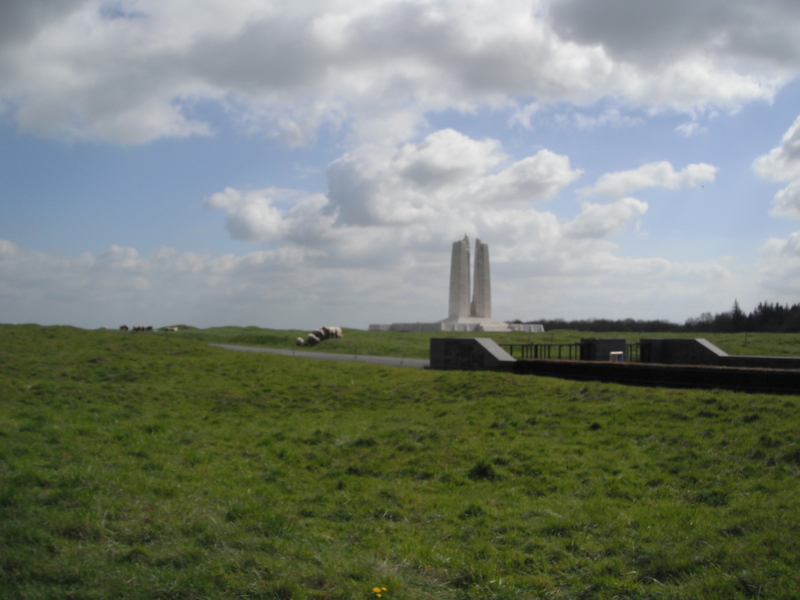 As part of the Battle of Arras (April 9th to May 16th, 1917), the Canadian assault on Vimy Ridge was part of an allied offensive against German positions around the town of Arras. The objective of the Canadian Corps was the high ground at the northernmost end of the front, an area which had remained in German hands despite previous offensives by both French and British forces. By taking this position, the Canadians would ensure that the Germans would not be to observe the French and British advance further south, or direct artillery fire along the long axis of their advance. Supported by a creeping barrage, the Canadian attack would begin on April 9th and aimed to the fortified German positions along the ridge, as well as the strategic town of Thélus and Givenchy-en-Gohelle. Thanks to a combination of factors, the attack went off without a hitch. Ultimately, the success of the assault was due to a combination of technical and tactical innovation, meticulous planning, powerful artillery support and extensive training. For weeks prior to the offensive, Canadian soldiers underwent training using models to represent the battlefield, and General’s Sir Julian Byng and Sir Arthur Currie made sure that every single soldier had a map of the ridge and knew exactly what would be needed of them. The artillery support would rely on a relatively new tactic known as the creeping barrage, rather than the standard preparatory bombardment. In this latter case, artillery would shell the enemy line for days or weeks in advance of the attack, and then stop as the soldiers went “over the top” to charge the enemy positions. By contrast, a creeping barrage would begin shelling No Man’s Land to take out enemy barbed wire, and then crept forward to keep pace with the advance of the infantry. In so doing, the Canadian’s artillery support was able to catch the German defenders as they were coming out of their dugouts to set up their machine guns and defenses. New methods and equipment were also used to triangulate the positions of the German artillery guns and take them out in advance of the attack. This way, the Germans had no reprieve from the bombardment, and no way to shell the Canadians as they moved up the ridge. Within three days, the Canadians had secured the entire ridge and their objectives and forced the Germans to retreat to the Oppy–Méricourt line some five kilometers away. In addition, they took 4000 German prisoners and inflicted an estimated 20,000 killed or wounded, while suffering 3,598 dead and 7,004 wounded of their own. This too was a first, in that all previous offenses of the war involved the attacker sustaining far greater losses than the defender. 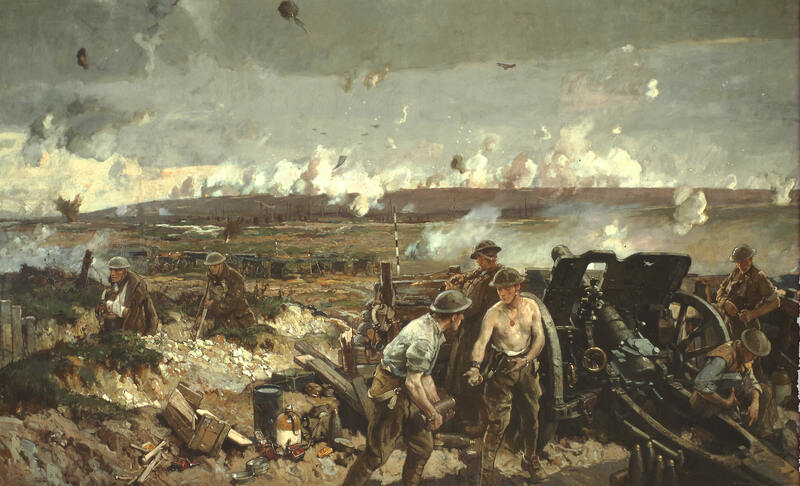 In addition to being a victory for the Canadian Corps and the first successful Allied offensive of the war, the success of this assault – much their performance at the Second Battle of Ypres – was a defining moment for the fledgling nation of Canada. As Brigadier-General Alexander Ross would famously say of the battle: ” . 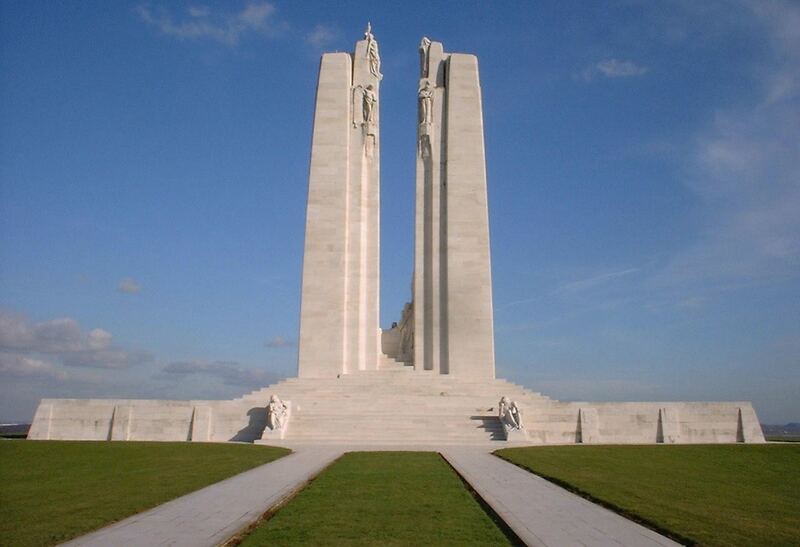 . . in those few minutes I witnessed the birth of a nation.” The triumph at Vimy also led to Byng’s promotion out of the Corps, and to his replacement by Arthur Currie — the first Canadian commander of the Corps. Another outcome of this victory was the reputation earned by the Canadian Corps as being the army that could get things done where others could not. This reputation would further be tested in ensuing battles – the foremost of which was the Battle of Passchendaele – and The Hundred Days Offensive, the last one hundred days of the war when the Canadian Corps led the advance against the crumbling German lines through France and Belgium. Anyhoo, we arrived National Memorial in the late morning and were immediately struck by its sheer size. 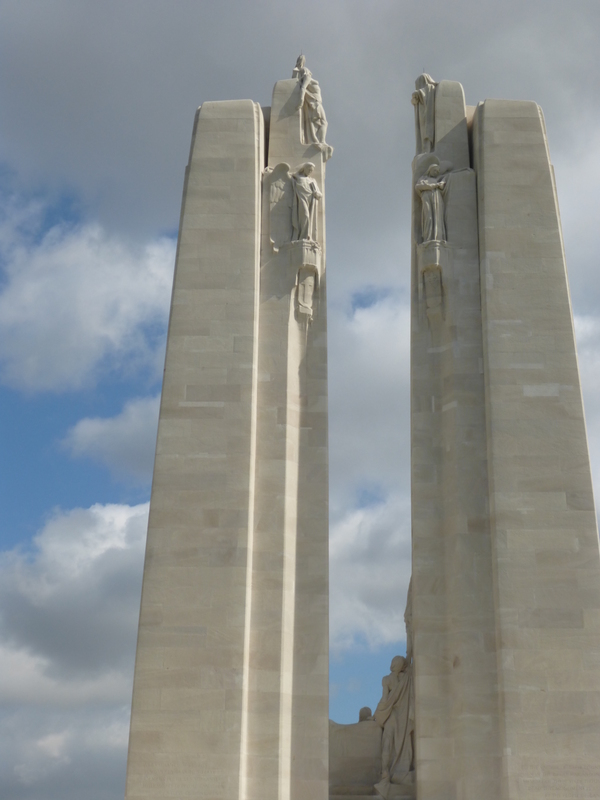 It’s two pylons, shown above, reach 30 meters into the sky, one bearing the maple leaf of Canada and the other the fleur-de-lis of France, symbolizing the unity and sacrifice of both countries. At the top of the two pylons is a grouping of figures known collectively as the Chorus, the senior of which represent the figures of Justice and Peace. The figures of Hope, Charity, Honour and Faith, Truth and Knowledge are located beneath (as seen in the image below). Between the two pylons is the Spirit of Sacrifice, a young dying soldier is gazing upward in a crucifixion-like pose, having thrown his torch to a comrade who holds it aloft behind him. 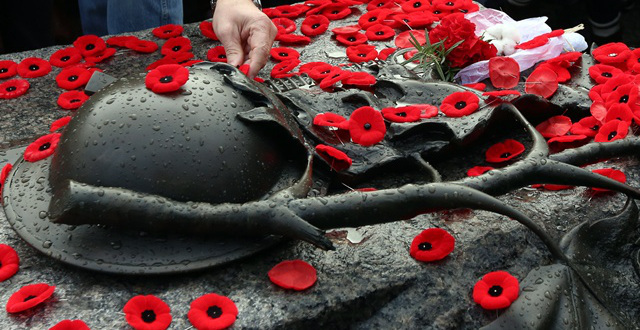 A lightly veiled reference to the poem In Flanders Fields by John McCrae, the torch is passed from one comrade to another in an effort to keep alive the memory of the war dead. Other figures around the monument include Sympathy of the Canadians for the Helpless, as represented by a standing man surrounded by kneeling people stricken by hunger and disease. Two more representations, named the Breaking of the Swords and cannons covered in laurel, further symbolize the monument’s commitment to peace. Facing east from the monument is the saddened figure of Canada Bereft, also known as Mother Canada, which personifies the young nation of Canada mourning her dead. The Mourning Parents, one male and one female, are reclining on either side of the western steps on the reverse side of the monument. Inscribed around the outside wall of the monument are the names of the 11,285 Canadians killed in France, and whose final resting place is unknown. Some 60,000 Canadians died in the First World War, but even after all these years, 11,169 still remain unfound. To see these names listed in a continuous band, and knowing that they represent only a fraction of all those who died, really serves to drive home the terrible reality of the Great War and its brutality. 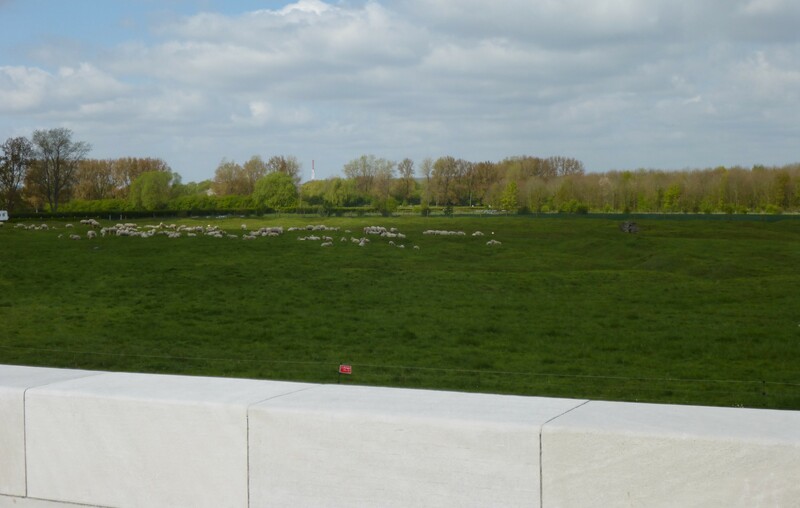 Looking upon the field that surrounded the monment, we were also quick to notice how the land was gnarled and lumpy, similar to what we had seen at the Beaumont-Hamel Newfoundland Memorial. Also like the Newfoundland Memorial, the land is surrounded by an electrified wire fence and warning signs that caution against venturing into it, and the only things allowed to walk freely there are grazing sheep. As someone who raised sheep as a child, my wife was naturally concerned about their safety. However, the guides were quick to confirm that not a single sheep had died in the twenty years that they had been conducting tours. This was certainly a relief to hear, but it didn’t really detract from the reality of the war that this display drove home. As soon as the war ended, the farmers and their flocks returned; and over the course of the years, unexploded mines and munitions accounted for more than a few lives – human, bovine and ovine! After scaling the steps of the monument, we began placing Canadian flag pins here and there to pay our respects. We also snapped some photos of the monument, the surrounding landscape, and of ourselves as a family standing on it. 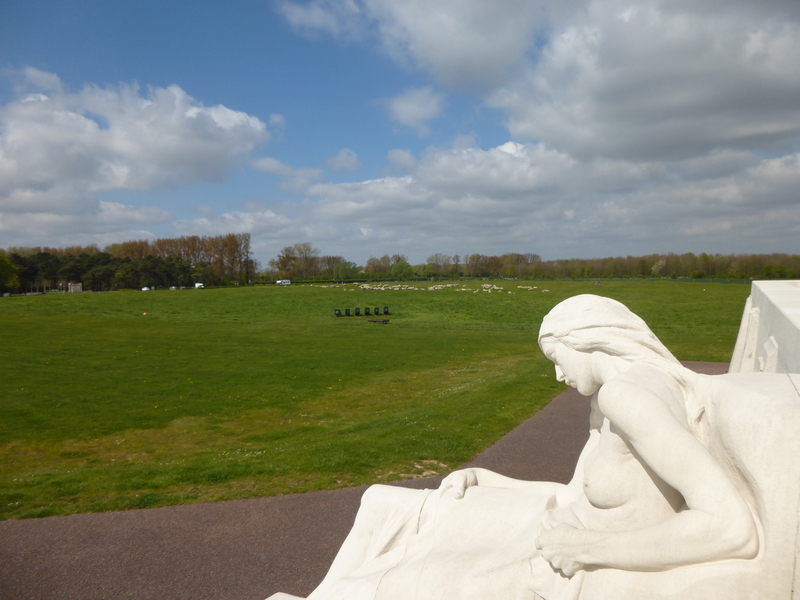 After this, we ventured to the far end of the site to see the Grange Subway – a preserved underground tunnel and stretch of trenches – and the site’s museum. On the way, we saw plenty more trenches, shell holes, and one massive crater that had clearly been left by a mine. We reached the Grange Subway and booked a tour, and a kindly guide gathered us and about ten others and brought us inside. I can tell with you with no trace of shame that the place was pretty claustrophobic and I might have had some trouble if we hadn’t kept moving. Still, it was extremely impressive to see this tunnel that the Allies had dug during the course of the war. In addition to the walls carved from the chalk and flint that make up the ridge, the tunnel was replete with dugouts, side tunnels, officers messes, and message stations. And of course, the whole place stunk of mold, wet stone and chalky residue. Our guide then took us back outside, to where the tunnel ended in a recreated section of Canadian trench that overlooked another massive crater. Here too, a mine had been exploded just short of the German front lines, which also had a section of preserved trench that showed us how well dug in and fortified their positions were. Unlike the Allied lines, the Germans had had time to pour concrete and build outposts and “pillboxes” to both observe and shoot from. After the tour finished, we headed back to the museum to take one last look around and then eat our lunch. On the way, we found some additional artifacts, which included a piece of chalk and flint (pieces of the Ridge) and a piece of what appeared to be ceramic with a letter B stamped on it. From its size, contoured shape, and the way it was marked, we could only guess what it was. But the prevalent theory was that it might have been an officers china cup. In 1942, this region of France was still firmly in the hands of Nazi Germany. In addition, the Germans were still occupying much of Russia and had the British tangled up in North Africa. The United States had just entered the war and was facing a fight on two fronts – Europe and the Pacific. And with Russian losses numbering in the millions, a great deal of pressure was on the Allies to open a “Second Front” on the Continent again. To test the German’s coastal defenses, and evaluate the likelihood of making a successful amphibious assault, the Allies began making plans for a raid against the Atlantic coast. In what would come to be known as Operation Jubilee, a force of 6,000 infantrymen – predominantly Canadian and supported by a Canadian Armoured regiment and the Royal Navy and Air Force – the plan was to seize a port town, destroy the military facilities, and then evacuate before a German counter-attack could arrive. Commander by Lord Louis Mountbatten, a British Admiral and 1st Earl of Burma, the attack was also intended to show that such an assault – which was the first step in liberating Europe – could be done. 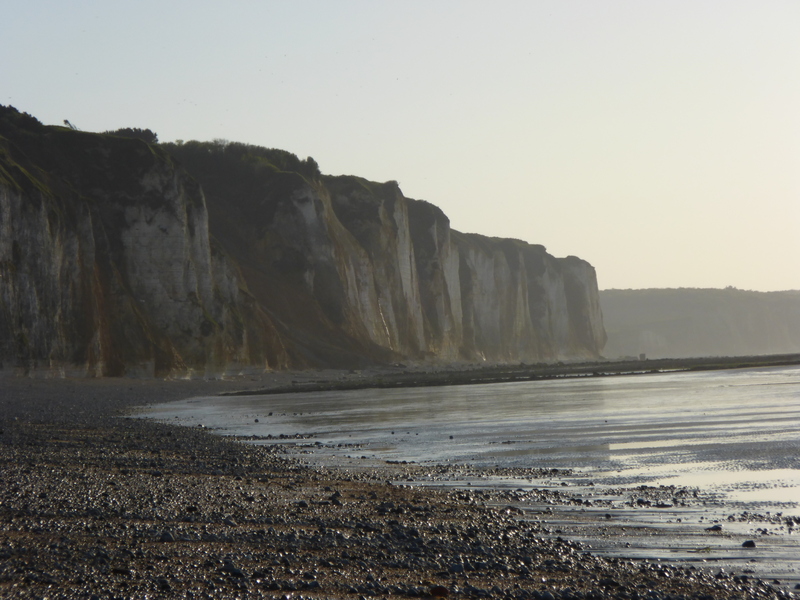 On August 9th at 5:00 am, the assault began as Canadian and British troops, as well as 100 US Rangers and Free French Commandos, began landing on the beach. By 10:50 a.m., the Allied commanders were forced to call a retreat. 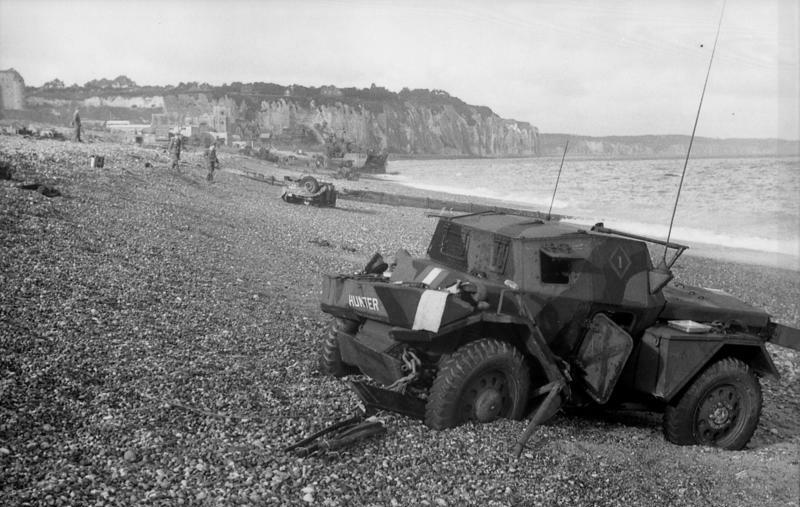 The Dieppe Raid, or the Battle of Dieppe, would go down as one of the greatest blunders in military history, and is considered a national tragedy here in Canada. After less than 10 hours since the first landings, the last of the Allied troops had either killed, evacuated, or left behind and captured by the Germans. All told, a total of 3,623 of the 6,086 men who made it ashore were either killed, wounded, or captured, and demonstrated that the Allies could not hope to liberate Europe for some time. There are several reasons why the raid was a failure. For starters, Allied fire support was grossly inadequate and failed to take out the German defenses. 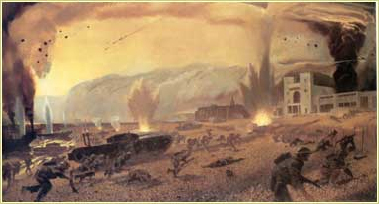 As a result, the advancing infantry was quickly trapped by machine gun fire, mortars and coastal batteries that sighted them as they tried to run up the rocky coastline. The Royal Air Force also failed to lure the Luftwaffe into open battle, and took some heavy losses themselves (96 aircraft compared to 48 lost by the Germans). What’s more, the operation was repeatedly downsized, reducing its troop strength several times before it was approved. The Allied commanders, most notably Mountbatten, claimed that this would not be a problem as the attacking force would have the element of surprise. However, this was immediately squandered due to the British government openly talking about the raid for weeks before it happened. In short, the Germans knew they were coming. While a more recent interpretation of the raid – which claims it was done as part of a clandestine operation to seize a four-rotor Enigma machine – have reevaluated it’s purpose, the outcome of the operation was anything but successful. In the end, the only good to come of it lay in the fact that it taught the Allies precisely what not to do when staging a coastal assault. These lessons greatly influenced their preparations when drafting Operation Torch (the landings in North Africa) and Operation Overlord (the D-Day landings in Normandy). While walking the beach, my father and I noted the way that it sloped upward and was covered in r0und stones. It wasn’t hard to see at all how tanks would be immobilized by these once they got stuck in their treads. What’s more, the thought of charging up the inclined beach with a rifle and sixty pounds on gear on our backs seemed like absolute folly. Especially if we knew there were machine guns and cannons aimed at us. Such was our attempt to understand what it must have been like for the young Canucks, Brits, French and Americans who were expected to capture this town. And when we mounted the top near the breakwater, we came to a couple of monuments dedicated to the soldiers who fell on the morning of the 19th of August. This included the Red Beach Monument, which honors the members of the Essex and Kent Scottish Regiment, and all those who fell on the eastern sector of the beach. 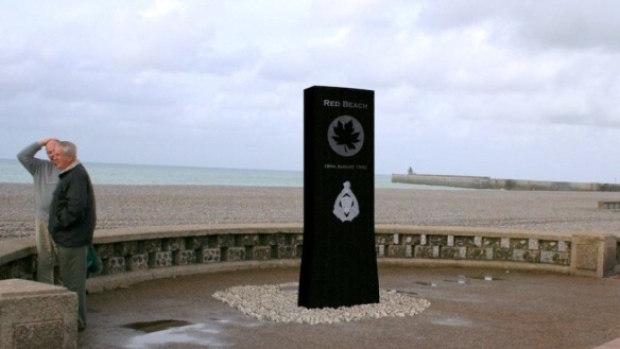 Financed by members of the Windsor community in Ontario, this monument was erected at town’s edge overlooking the beach and was carved from black granite with the cutout of a maple leaf in it. This cutout is aligned so that when the sun shines at 1 p.m. on Aug. 19 — the exact hour that the regiment stormed the beach — it will cast a perfect shadow of a maple leaf on the ground below. Farther down, we found another monuments commemorating the units that fell in other sectors of the beach. At both, we laid a Canadian flag pin and paid our respects. Then it was back to the hotel for some much needed grub and some sleep. It had been quite a long day, as you can no doubt tell from the lengthy recap. And we certainly needed plenty of rest, because what came on the next day would test us both physically and emotionally. But more on that later, as it deserves a separate post for sure. Thanks for reading, more to follow, and stay tuned! That monument is incredible. 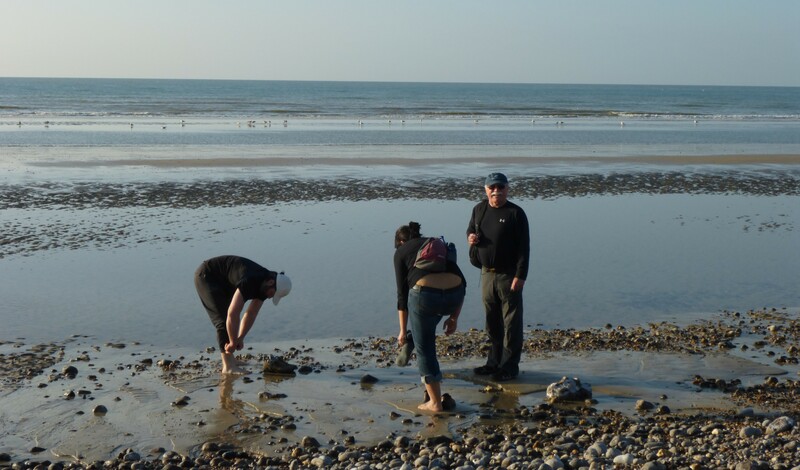 I knew that Dieppe was the sight of some pivotal moments in the war but thanks for sharing all the details. It seems so untouched by devastation at first glance. Hard to imagine the horror of battle while waves are gently lapping at the shore – but wow. Very cool, thanks for sharing again – love getting to see all of this from your perspective.